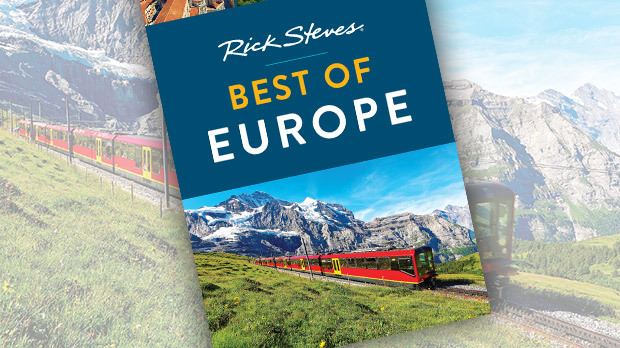 As a guidebook author and TV host, I do most of my work in Europe during the day. But after hours, I love to get out and see what's happening, especially after dark. And I'm always impressed by how much travelers who hide away in their hotel rooms miss. 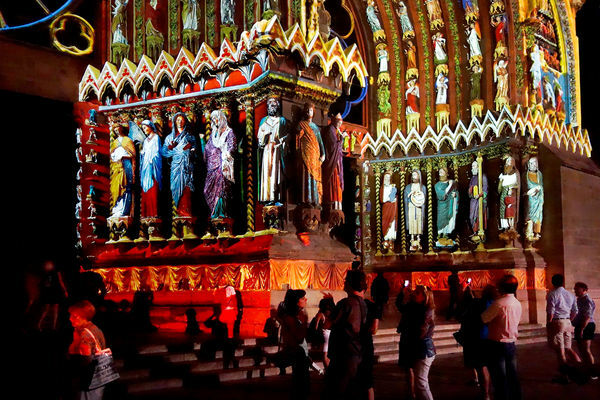 For example, each summer night when darkness falls in the Champagne-making town of Reims, France, a crowd gathers at the foot of the towering cathedral to enjoy a free sound-and-light show. The cathedral, one of the greatest in Europe, is remarkable for its harmony and unity of style. And the lights, colors, and sounds are all formidable (say it in French: for-mee-DAH-bluh). I struggle with the idea that Europe's wonderful Gothic church facades were boldly painted in the 13th and 14th centuries. In Reims, the sound-and-light show did a good job of helping me envision how they might have looked to a (perhaps intoxicated) medieval peasant. The French are enthusiastic and expert about floodlighting their great monuments. Another fun illumination spectacle takes place all summer long at the perfectly preserved Roman aqueduct Pont du Gard, a blockbuster sight in France's Provence region. Though most of the 30-mile-long Nîmes Aqueduct is on or below the ground, at Pont du Gard it spans a river canyon on a massive bridge over the river. It's one of the most remarkable surviving Roman ruins anywhere, second in height only to the Colosseum. During summer months it stays open until midnight so people can hike, enjoy a picnic or the riverside restaurant, and watch the music-and-light show projected on the monument. Seeing this amazing structure lit up in the evening is dramatic (and less than $20 for five people). It's no surprise that France's capital is also brilliant after dark. Experiencing the City of Light lit is a great finale to any day in Paris. For less than the cost of two seats on a big bus tour, you can hire your own cab or Uber and have a glorious hour of floodlit Paris on your terms and schedule. Sunday is the best night to go, as there's less traffic — you'll get a better value for the time spent. Make sure to join the party on Place du Trocadéro for a magnificent view of the glowing Eiffel Tower. Berlin is another city that lends itself well to sightseeing by night. Its many memorials mark a tragic history, and some of them make a more profound impact after dark. One such place is the "burning of the books memorial" on Bebelplatz, a transparent pane in the cobbles with a room of shelves under the square. This is the spot where, in 1933, people threw 20,000 newly forbidden books into a huge bonfire on Nazi orders. During the day, the area is full of glare and commotion, so the experience never quite works. But after dark, it's quiet, and the shelves are hauntingly bare and beautifully lit. I've stood over this memorial many times in broad daylight and never really been moved. Finally, at night, it grabbed me. I also pondered Berlin's Memorial to the Murdered Jews of Europe at night with only the streetlights at the monument's edges for illumination and only the security guard sharing the moment with me. At this Holocaust memorial, 2,711 gravestone-like pillars made of hollow concrete stand in a gently sunken area, which can be entered from any side. During the day, you see people appear and disappear between columns, and no matter where you are the exit always seems to be up. Is it a symbolic cemetery, or an intentionally disorienting labyrinth? I thought its architect may have wanted it to be experienced just the way I had chosen — in the dark and alone. While after-dark sights and spectacles can be particularly memorable, enjoying Europe on a summer's night doesn't require seeking out somber monuments, light shows, and floodlit buildings. When in doubt, just get out in the evening and be in a great city. 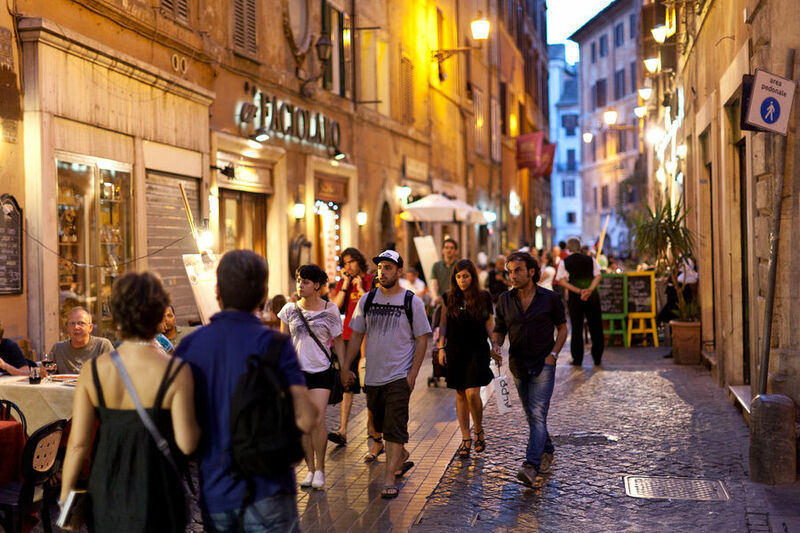 The streets of Rome and Madrid in summer are most engaging after dark, when the fountains are lit and the cool evening air brings locals out to stroll. In towns all along the Mediterranean harbor front, promenades are lively with romantics — locals and tourists alike. In London, there's a cauldron of activity where gay, theater, and tourist districts come together at Piccadilly Circus. In Florence, warm nights bring musical performers to the piazzas, bridges, and courtyards to serenade the city's residents and guests. Wherever your travels take you, admire glittering promenades and floodlit fountains, and enjoy another kind of light show — the sun going down over the historic and natural wonders of Europe.